If you recognise yourself or someone that you know and deeply care about in any of the above-listed scenarios, you need to further explore the situation in closer detail. Most people find dusting, vacuuming, decluttering and other cleaning routines daunting and annoying and wish that they can just skip all of that altogether. That is why there are so many different types of professional cleaning services today – deep cleaning, curtain cleaning, effective end of tenancy cleaning in Abbey Wood SE2 or some other London area. You, however, love to clean. 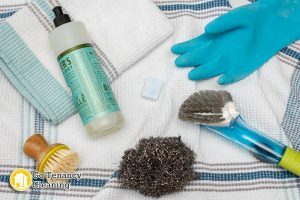 You love that so much that your life has almost started to revolve around it – you enjoy shopping for cleaning supplies, to talk about spot removal techniques with your friends and a big cleaning project does not scare you. Quite the opposite, in fact, it excites you. Cleaning your home once or twice a week is a must even if you are living alone or you are spending a great part of your day away in the office, for instance. And yet, you indulge in a cleaning marathon on a daily basis which lasts for hours. Even a team of skilled after builders cleaners in London will wrap up a big job quicker than you would sanitise your bathroom. People suffering from OCD often think that if they do not follow their obsessive routine, something bad will happen to them or to the people around them. So, if you fear that your mother will get injured unless you polish your floor 3 times a day, you are certainly dealing with OCD. You spend so much time dusting, wiping and washing that you barely go out with friends or see your family. Unless you are working as a licensed cleaning technician who specialises in comprehensive end of tenancy cleaning services in Bromley by Bow E3, for instance, this work overload is disturbing. How to deal with your obsession? If you want to put an end to all of that, you need to first find the thing that has triggered your obsessive behaviour. Is it a traumatic event, a germophobia, depression, etc.? Remember that the best way to get rid of your fears is to face them. Changing your lifestyle in some way, such as moving to a different place, finding a new job or just asking a friend to come and live with you for a month or two can also be beneficial. When nothing works, do not hesitate to seek for help and undergo a cognitive therapy.